When should a woman have an infrared breast study? 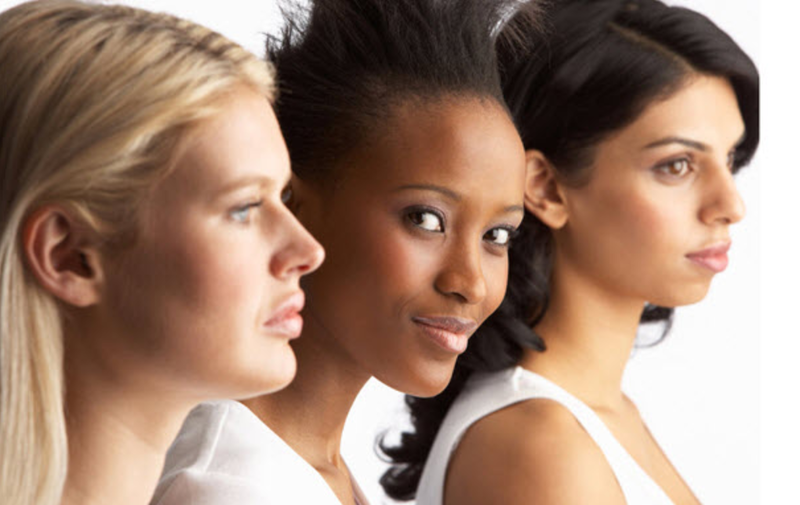 According to Chinese Medicine, a woman reaches her greatest health potential between the ages of 27 to 29. This is the perfect age to begin thermography health screening for functional changes in real time. 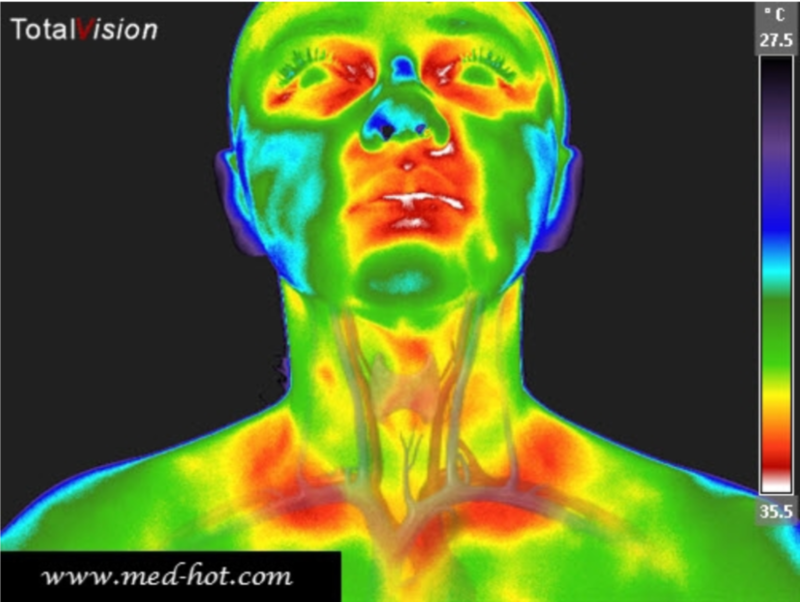 Thermography is a map, a GPS system, a way of navigating the landscape of illness and dysfunction. The medicine that connects the patterns present in the entire body. The medicine of “why”. The finding of the underlying cause. Observing patterns of inflammation helps to navigate the landscape of the immune system, dental, sinus, virus and other infections in the head and neck. The lymph nodes in the neck fight infection and disease and these patterns are often related to imbalance in thyroid function. Warm (red) patters can suggest a functional inflammatory process. If symptoms of thyroid imbalance are indicated (fatigue, tremors, anxiety issues, palpitations and unexplained weight gain) further evaluation might be advised. An under active immune system may present with a cold (blue) pattern below the back of the neck, especially if there are symptoms such as fatigue, recurring infections or colds. Before and during a hot flash event! The advantage of mapping hormonal changes … in real time!!! Extensive mottling and vascular patters can be consistent with hormonal imbalance as well as food allergies and stress. Mottling patterns extending into the abdominal area are most likely to be a result of food sensitivities or toxic conditions related to digestive disorders. However, widespread general mottling seen in other regions can also be linked to other conditions including hormone imbalances, various autoimmune diseases, food allergies and emotional stress. Sometimes recent alcohol consumption can souse a temporary mottling reaction. Sometimes patterns may be associated with digestive issues, depending on the symptoms. Widespread general mottling seen in the lower back and other regions can be related to conditions including hormone imbalances, various autoimmune conditions, food allergies and emotional stress. Sometimes recent alcohol consumption can souse a temporary mottling reaction. Spinal and soft tissue hypothermia may suggests a chronic or systemic condition which, if not treated, over time can result in degeneration of chronic pain. Fingers of a healthy person are typically uniformly colder than the rest of the hand with bilateral uniformity. Expected findings, cold fingers, warmer hand. Patients with thyroid disorder may have cold fingers. whoah this weblog is fantastic i love reading your posts. Keep up the great work! You understand, many individuals are searching around for this info, you could aid them greatly.